The Corsa, shown, is Opel's best-selling model in Europe. FRANKFURT -- Opel is reorganizing output of key small cars at its plants in Germany and Spain to improve production efficiency. The General Motors' unit will move production of its Adam minicar to its factory in Zaragoza, Spain, from Eisenach, Germany. 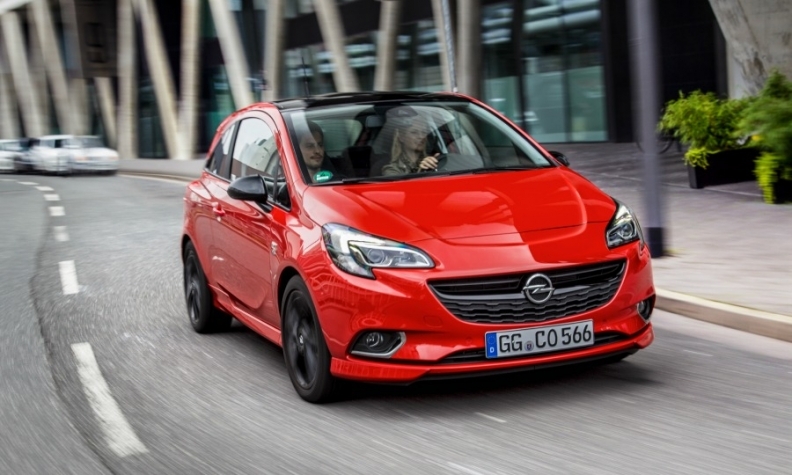 The Corsa subcompact hatchback, the brand's best-selling model, will in future be built exclusively in Spain. It is currently manufactured in Zaragoza and Eisenach. Production of the next-generation Mokka X subcompact crossover will move to Eisenach from Zaragoza. "The revised allocations will make production considerably more efficient," Philip Kienle, Opel's manufacturing chief, said in a statement. "The focused allocation of individual cars to a production site enables synergies in assembly and improved logistics coordination," he said. Through October, European sales of the Corsa fell 0.4 percent to 227,337, according to JATO Dynamics market researchers. In the same period, Mokka sales were flat at 138,037, while Adam sales slipped 6 percent to 44,945. The Corsa is the No. 5 best-selling model in Europe in the first 10 months, according to JATO, after the VW Golf and Polo, the Ford Fiesta and the Renault Clio.